If you like to laugh and you’ve got some time to kill, why not give yourself a giggle? 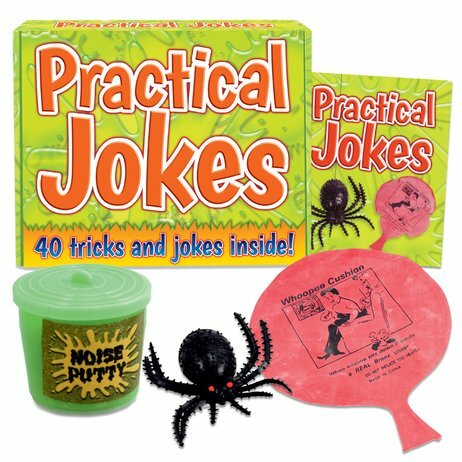 This cheeky little box is stuffed with over 40 daft pranks to get you chuckling like a loon. Make your friends blush with rude noises. Freak out your family with an oh-so-real plastic spider. Loads of great ways to make them groan with horror – while you groan with laughter. Tee-hee!